Lanterns is full of impressive and admirable post-rock concoctions, but the parts are ultimately greater than the sum. There’s a riot goin’ on, but I’m not sure if it’s in my head or in the grooves of Lanterns, the latest electronic soundscapey concerto concoction from Son Lux. I’d like to think it ain't just me, that the ethereal melodies and neo-classical conceits of Lux's songs are clashing mightily with his desire to pummel us with disparate sounds, to assault us with all the manpower his mighty collection of MIDI plugins can muster. But the more I think about it, the less sure I am. Lanterns offers up enough sonic challenges to cause a massive battle within anyone’s headspace. Each song on Lanterns is impressive and admirable, and some are even pleasing on their own merits, but ultimately, the parts are greater than the sum. Son Lux (nee composer/experimentalist/hip-hop beatmaker/film scorer/Sufjan collaborator Ryan Lott) likes to play with structure and moods. There are interesting lyrical ideas at work, but the vocals are often processed until his wispy voice (among other voices) becomes just another component in the swirling mix. His debut, 2008's At War with Walls & Mazes, introduced his conceit: shy vocals blended with electronic sound, punctuated with orchestral and choral flourishes, brandished with the occasional wind or string instrument, topped off with drum loops and lots of reverb. If that sounds a little like latter-day Radiohead or Flaming Lips, that’s because it is, but there’s almost nothing “rock” about Lux's works. He works in a post-rock format in which the music primarily exists to be deconstructed. Walls & Mazes earned him a “Best New Artist” accolade from NPR, and Lanterns seems to confirm he’s still making music for the NPR crowd. Lux kicks off Lanterns with the whispered words “alternate world / alternate beach / alternate wave," leaving little doubt as to what he’s trying to create. He gets the “alternate” part right. Backwards-sounding effects and heavy reverb (that occasionally drops altogether) rest on an uneasy beat that barely supports his fragile vocal, and yes, this is a new sound, even for Lux fans. But by the time he begins repeating “Make what we believe / don’t we make what we can” like a mantra, the piece is already fading from memory. The first half of Lanterns has a lot of promising moments. The cacophony of “Lost It to Trying” is commanding, with its bari sax-bolstered bass, big percussion, recorders, and squelchy keyboards, especially once we accept the lyrics are probably beside the point. “Ransom” features a furious battle between violins and saw-tooth synths and a vocal drenched in Cocteau Twins-like reverb, and the contrast is nicely unsettling, even if lyrics like “a breath from one last lung” and “swallow the enemy” have only as much meaning as we wish to invest. “Easy” is the most straightforward track here -- delicate, synthesized vocals merge nicely with a trip-hop beat and operatic soprano cascades, while more bari saxes add a grounding punch that keeps the song from floating into the ether entirely. But by now, Lux's concoctions start to blend into each other. His formula starts showing its seams: violins clash with programmed synths, melodies build on counter-melodies, whispered vocals are saturated with harmonizers and reverb; moments of silence and grace are quickly followed by noise, noise, noise. Lyrical phrases, most of them suggesting disenchantment and loss, repeat themselves, walking the line between hypnotic and annoying -- sometimes crossing onto either side -- before offering variations on the themes. Sometimes this all sounds majestic, especially when he offers a strong, Kurt Weill-like melody and a wall-rattling bass, as on “Pyre”. Sometimes, it sounds affected, random and haphazard, weird for the sake of weirdness. I wish the whole album had the urgency of “Lanterns Lit”, the closer (and the third song to feature the word “lanterns”). Finally, Lux sounds like he’s awoken from his dream state, and the sad lyrics (“memory rushes in then washes you away / I am losing you to the sea”) have a chance to resonate. I’m a little stumped as to what to make of all this. One on hand, there’s clearly a Genius at Work here. Lux isn't afraid to throw his classical pedigree around, and even the less-winsome results are rarely dull. His fans will eat it up. 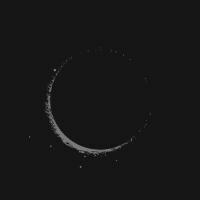 But for all his compositional acumen, Son Lux has created an album of moments. You’ll remember the pokey saxes in “Easy”, the dubby-wub synth of “No Crimes”, the thrilling little arpeggio cadences of “Lost It to Trying”, the deep, “A Spoonful Weighs a Ton”-like bass in “Pyres”, the thrilling use of silence in “Plan the Escape”, the dream pop of “Lanterns Lit”, and various other Star-Trekky vocal flourishes and post-hip-hop drum loops. The songs themselves, however, tend to float away into the abstract mist. Maybe that’s enough. You certainly can’t accuse Lux of doing anything half-assed, and his creations are uncompromisingly personal. But is it engaging? I still can’t decide. I can’t help but feel that, like a lot of fine art, Lanterns has been constructed to be admired from a distance.